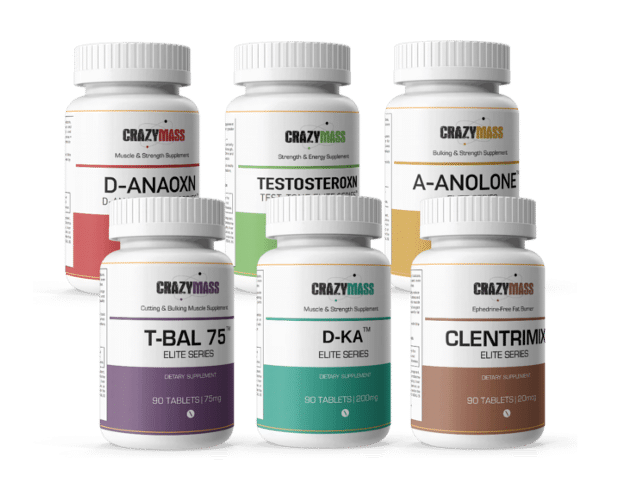 SKU: crazy-stack Categories: Top Legal Steroid Alternative Stacks, Bodybuilding Supplements For Maximum Performance, Buy Legal Steroid Alternatives, Best Selling Legal Steroid Alternatives, Which Supplement Is Right For Me? Experience it all: Explosive strength gains, a dramatic increase in mass and size, enhanced energy and recovery for world-class results! 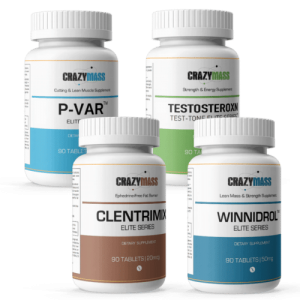 The Crazystack is most effective legal anabolic stack available and is genuinely the fast track to the body that you have always wanted. 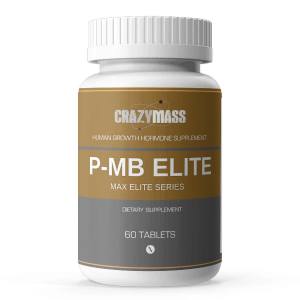 The CrazyMass Ultimate Crazystack combines SIX of our best-selling legal all-natural supplements in one amazing stack – formulated for explosive strength gains, dramatic increase in muscle mass and size, enhanced energy and recovery! D-Anaoxn (Dianabol alternative) creates a highly anabolic environment and increases nitrogen retention in muscle tissue, which allows increased protein synthesis and results in impressive strength and mass gains. T-Bal 75 (Trenbolone alternative) provides extra energy and stamina to help harden and cut muscle while quickly gaining power and strength. Testosteroxn Test –Tone (Testosterone alternative) is an energy and strength booster and is a natural alternative to Testosterone (Test). Clentrimix (Clenbuterol alternative) is a thermogenic agent that contains premium ingredients for fast results that melts away fat, tightens and tones but also retains lean, dense, muscle by increasing oxygen transportation. D-KA (Deca-Durabolin alternative) increases muscle mass, speeds recovery and helps ease joint pain by increasing nitrogen and collagen synthesis. Clenbuterol was once used to increase growth rates of lean muscle mass in livestock. It is currently only FDA approved for veterinary use (horses). It is a non-anabolic bronchodilator used in countries outside the US to treat breathing conditions. What is Dianabol? Dianabol is the undisputed king of anabolic steroids. The Dianabol steroid was released in the early 1960s and quickly became one of the most popular steroids for bodybuilders and it still is 50 years later. 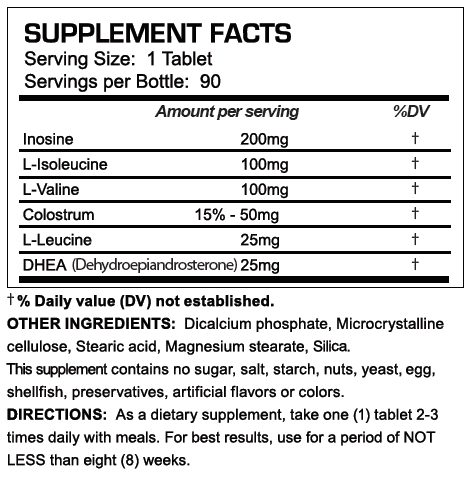 Dbal is extremely effective for rebuilding muscle and is taken orally instead of by injection like many steroids. Bulking and fat cutting with a single steroid, Trenbolone Acetate, what’s not to like? This combination has made Trenbolone one of the most popular anabolic steroids on the planet. Weightlifters use this agricultural steroid to gain mass while losing fat and are willing to risk serious Tren steroid side effects to get these explosive gains that Trenbolone acetate delivers. This stuff works amazingly. I workout 5 days a week and take on every workout day. Makes muscles grow and harden. I’d advise taking with something to help you sleep. It made me wake up at a pin drop. Really helped me get things done.